Our ‘A Day in the Life’ series highlights alumni in various fields and positions, offering a glimpse of what life after graduation is like. This post comes to us from M&T alum Neil, currently pursuing a PhD in Bioengineering at Harvard University. I’m a graduate student in bioengineering at Harvard University. My lab studies a variety of topics including surgical simulation, image processing for 3D echocardiography, surgical robotics, and robotic hands. Personally, my thesis focuses on interactive simulation of mitral valve repair (a cardiac procedure) for preoperative planning and surgical training. Today I woke up at 8am. As a graduate student, your schedule is fairly flexible so this time varies from day-to-day. I collaborate with surgeons so some days I’ll be up as early as 6am, whereas others I may awaken as late as 10am if I was up especially late the night before. I started at 9am. However, grad school is a bit different from a traditional job in the sense that you never really stop thinking about your project. As a result, you never really finish your day. It’s common to see grad students outside of the lab jotting stuff down in their phone when an idea springs to mind. That being said, today I worked until 7pm, grabbed dinner/relaxed for an hour or two, and resumed working until roughly 2am. What classes did you attend today? None. Unlike an undergraduate and master’s degree, a doctoral degree is traditionally much more about research than coursework. As a matter of fact, because I received my master’s from Penn, I only had to take five classes here at Harvard, which I finished during my second year. For the last three years or so, it’s been solely research with a bit of teaching sprinkled in. I’m currently finishing up a journal article, so today’s been largely about proofreading, touching up figures, etc. I also spent some time laying out my next experiment, which should start soon. Today I had my lab’s weekly group meeting, where we discuss logistics, upcoming deadlines, and research progress. As a result, the entire lab was there (advisor, associate researchers, postdocs, and grad students). Additionally, I also chatted with a few grad students/postdocs from neighboring labs. The mid-day coffee break with a couple labmates. Our neighboring lab has an awesome coffee machine. The constant intellectual challenge. You and your colleagues are always trying to do something new, something no one’s done before. There is rarely an existing, well-defined solution, so you must get creative. This often involves chatting with labmates for inspiration, which can lead to some wild but ultimately successful ideas. While at Penn, I interned at both engineering companies as well as financial institutions. In the end, I just found that I enjoyed the engineering work more. Wanting to broaden my skillset and engage in research, a PhD was the right fit for me. Being able to clearly convey your ideas to others is crucial as a researcher. I’ve presented at hospitals and engineering conferences, and the presentations I give to these communities vary quite significantly. Knowing how to comfortably present and package your ideas for the audience is a powerful skill, one that I honed at Penn. Another area in which I’ve benefited is the writing of grant and fellowship proposals, where you not only must sell your ideas but also yourself. Personally, I’ve found the experience to be much like writing a business plan, something I believe the M&T Program teaches quite well. Using what I’ve learned, I’ve been able to secure fellowships, which have provided me with increased independence in pursuing my research interests. Graduate school is a marathon, not a sprint. You will be working on the same project for years, and that project will hang over your head 24/7. Additionally, because you’re conducting research, your ideas will at times fail. Learning to grow from these failures and find ways to preserve your sanity (through friends, hobbies, exercise, etc.) is crucial; otherwise, you will burnout. While it’s a challenging endeavor, the people I’ve met have been incredible, and I’ve truly enjoyed the journey. Neil is currently pursuing a PhD from Harvard University in Bioengineering. He graduated from Penn and M&T in 2008 with a Bachelor of Science in Engineering with majors in Mechanical Engineering and Mathematics from Penn Engineering and a Bachelor of Science in Economics from Wharton with a concentration in Finance. He also received a Master’s of Science in Mechanical Engineering with a concentration in Robotics from Penn Engineering in 2009. 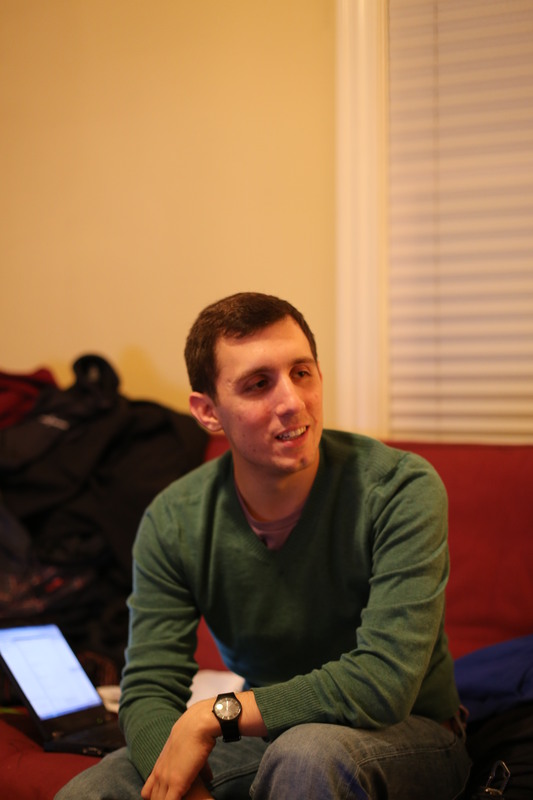 In his free time, Neil enjoys playing rec sports and watching Massachusetts sports teams.